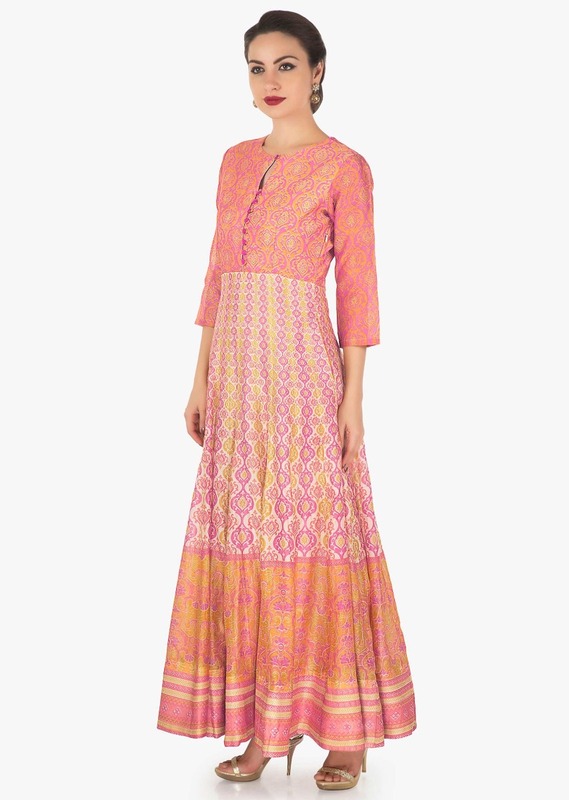 Multi color long dress featuring in cotton silk. 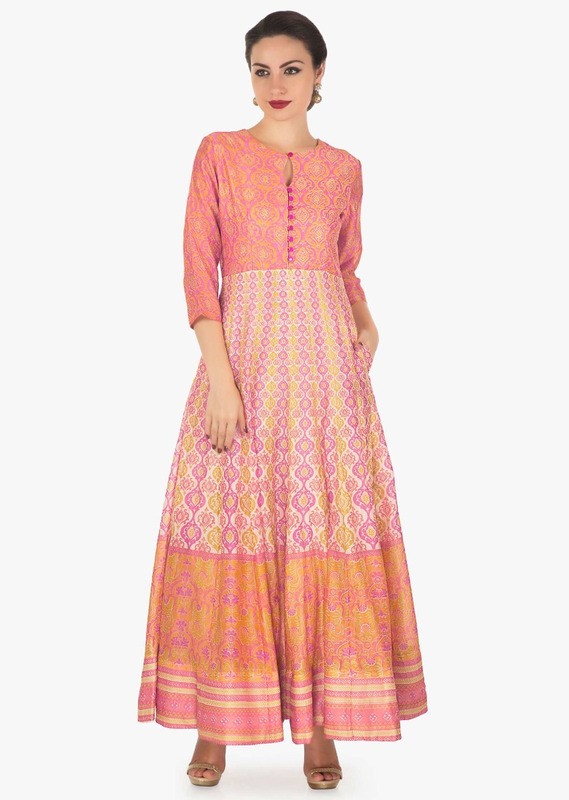 Its enhanced in multi color print all over in geometric and floral motif. 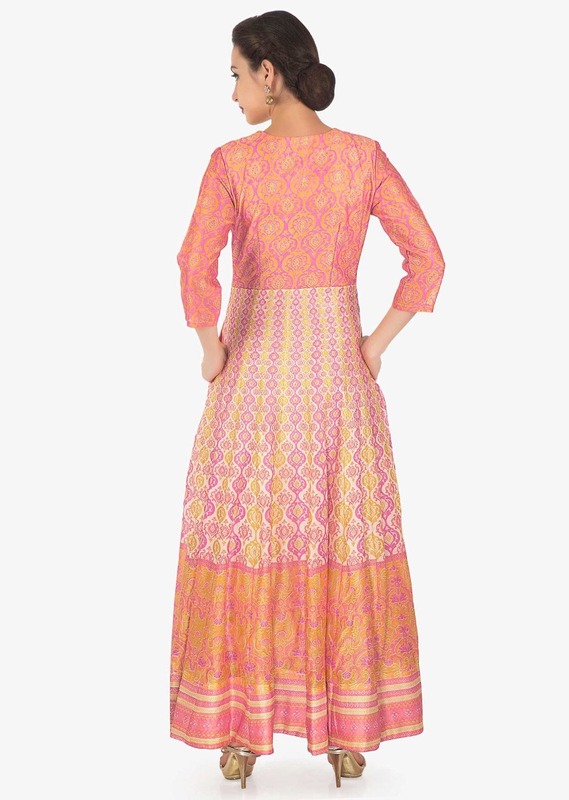 Neckline is highlighted in fancy buttons with key hole and full sleeve.